The Olympic Games are always evolving. Younger generations may not realise that until relatively recently most sports made amateurism a qualification criteria for the Games. The USA’s “Dream Team” of professional basketball players was first seen in 1984, and only in 2016 did the first professional boxers compete in the Games. One of the current rules of the International Olympic Committee (IOC), Rule 40 of the Olympic Charter, is now coming under attack and following a recent German decision, looks set for revolution, not just evolution. Rule 40 prevents athletes allowing their name, image or sporting performance to be used in advertising (unless permitted by the IOC) during the Games and for a period of about 9 days beforehand. This serves to protect the official sponsors of the Games by ensuring only they can run campaigns featuring the stars of the event during this ‘black-out period’. 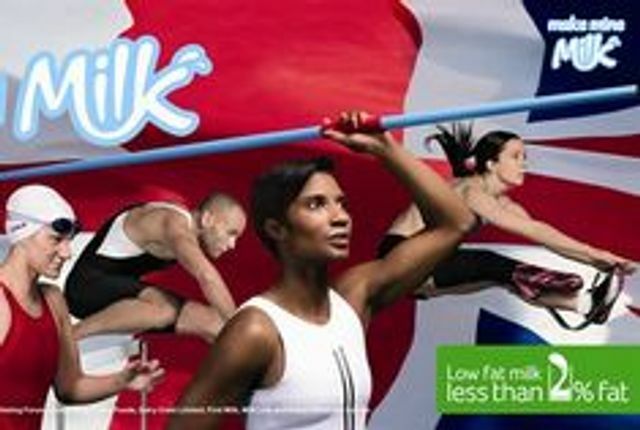 During the London 2012 Games, for example, this meant that former Olympians like Denise Lewis could be used in advertising campaigns during the Games at a point when current Olympians would have risked disqualification. Another IOC rule, Rule 50 (which many also argue is outdated) prohibits advertising within Olympic venues. As such the value in Olympic sponsorship is heavily reliant on the cut-through which sponsors can achieve through classic Olympian campaigns like P&G’s “Thank you Mom” campaign during the 2012 Games. This sponsorship model was shaken to its core last week, at least in Germany. The national competition law authority, the Bundeskartellamt, has been investigating complaints that the IOC and German National Olympic Committee, the DSOB, were abusing a dominant position by enforcing Rule 40. Initial relaxations of the rules ahead of the 2018 Winter Games were deemed ineffective and last week the Bundeskartellamt announced that it had obtained commitments from the IOC and DOSB to make further relaxations. The newly agreed guidelines are available to download in German via the DOSB website, and thanks to Google Translate, I’ve determined that they appear to throw a hammer right through Rule 40. It seems that German athletes and their sponsors will be allowed to do pretty much anything provided that it isn’t otherwise unlawful, for example under trade mark law or the German “Olympic Protection Act”, and provided it doesn’t create confusion by suggesting a commercial relationship between the athlete’s sponsor and Team Germany, the DOSB or the Olympic Games. Previously prohibited terms like “medal, gold, silver, bronze, winter or summer games” are no longer specifically restricted and there will be a relaxation on use of social media by athletes to thank and otherwise call out personal sponsors during the Games. Allowing use of images of the athlete competing at the Games, provided these don’t include Olympic symbols etc, is also permitted. The guidelines even go as far as suggesting airbrushing out Olympic logos, and the guidelines assert that they over-rule contractual ticket and accreditation terms which would otherwise restrict commercial use of such images. The German guidelines represent a fundamental shift. As yet, there is no guidance from the IOC as to how they will apply Rule 40 elsewhere around the world for Tokyo 2020, but they are no doubt pausing for thought. In the meantime an IOC spokesman looking at the positives was quoted by insidethegames as stating that the Bundeskartellamt decision “recognised that there are legitimate reasons for restricting individual athletes' advertising opportunities in order to ensure the ongoing organisation of the Olympic Games”, and also emphasised that the new guidelines will only apply in Germany (indeed the guidelines only seem to apply to ads in German media and German language – international ads will still need to comply with Rule 40). So why are we updating you on this? Athletes (and their agents) around the world will have noted this decision. Many countries have laws against ‘abuse of a dominant position’ and if the IOC doesn’t give ground globally, there’s a strong chance that similar official investigations or civil cases arguing that Rule 40 is unlawful will follow around the world. Given that the Olympic Charter champions equality, it also seems slightly unfair that German athletes can profit more from the Games than their fellow competitors of different nationalities. So,watch this space, and in the meantime if you’re not an official sponsor think about signing up a Team GB hopeful or two before Tokyo 2020 – their value maybe about to increase significantly. German athletes and their sponsors will have considerably enhanced advertising opportunities during the Olympic Games in future.